Intrusive igneous rocks form at depths of several hundreds of metres to several tens of kilometres. Sediments are turned into sedimentary rocks only when they are buried by other sediments to depths in excess of several hundreds of metres. Most metamorphic rocks are formed at depths of kilometres to tens of kilometres. 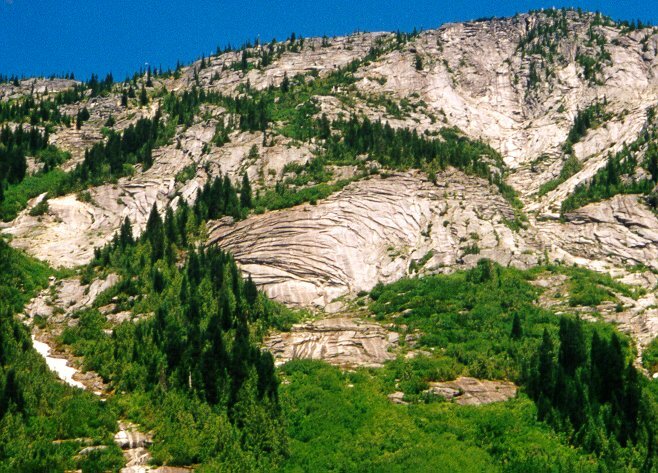 Weathering cannot even begin until these rocks are uplifted through various processes of mountain building — most of which are related to plate tectonics — and the overlying material has been eroded away and the rock is exposed as an outcrop. When a mass of rock is exposed by weathering and removal of the overlying rock, there is a decrease in the confining pressure on the rock, and the rock expands. This unloading promotes cracking of the rock, known as exfoliation, as shown in the granitic rock in Figure 5.3. Granitic rock tends to exfoliate parallel to the exposed surface because the rock is typically homogenous, and it doesn’t have predetermined planes along which it must fracture. Sedimentary and metamorphic rocks, on the other hand, tend to exfoliate along predetermined planes (Figure 5.4). Frost wedging is the process by which water seeps into cracks in a rock, expands on freezing, and thus enlarges the cracks (Figure 5.5). The effectiveness of frost wedging is related to the frequency of freezing and thawing. Frost wedging is most effective in a climate like Canada’s. In warm areas where freezing is infrequent, in very cold areas where thawing is infrequent, or in very dry areas, where there is little water to seep into cracks, the role of frost wedging is limited. In many parts of Canada, the transition between freezing nighttime temperatures and thawing daytime temperatures is frequent — tens to hundreds of times a year. Even in warm coastal areas of southern B.C., freezing and thawing transitions are common at higher elevations. 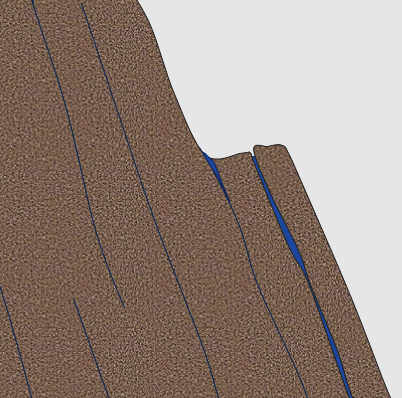 A common feature in areas of effective frost wedging is a talus slope — a fan-shaped deposit of fragments removed by frost wedging from the steep rocky slopes above (Figure 5.6). When salt water seeps into rocks and then evaporates on a hot sunny day, salt crystals grow within cracks and pores in the rock. The growth of these crystals exerts pressure on the rock and can push grains apart, causing the rock to weaken and break. 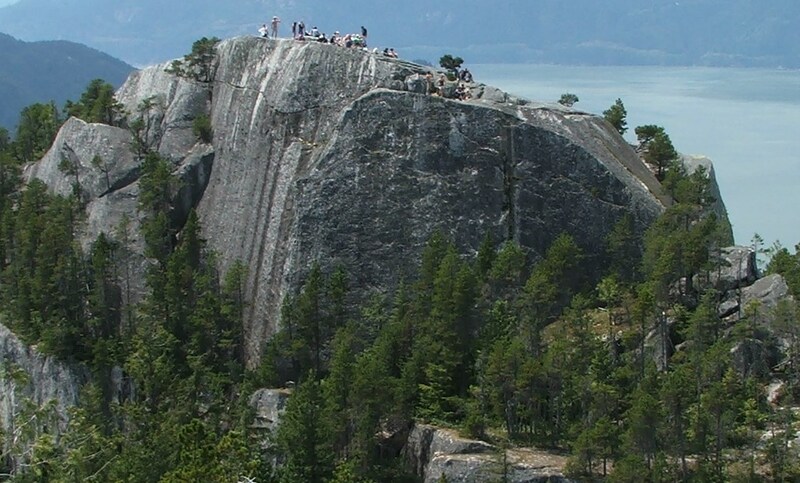 There are many examples of this on the rocky shorelines of Vancouver Island and the Gulf Islands, where sandstone outcrops are common and salty seawater is readily available (Figure 5.7). Salt weathering can also occur away from the coast, because most environments have some salt in them. The effects of plants and animals are significant in mechanical weathering. Roots can force their way into even the tiniest cracks, and then they exert tremendous pressure on the rocks as they grow, widening the cracks and breaking the rock (Figure 5.8). Although animals do not normally burrow through solid rock, they can excavate and remove huge volumes of soil, and thus expose the rock to weathering by other mechanisms. Mechanical weathering is greatly facilitated by erosion, which is the removal of weathering products, allowing for the exposure of more rock for weathering. A good example of this is shown in Figure 5.6. On the steep rock faces at the top of the cliff, rock fragments have been broken off by ice wedging, and then removed by gravity. 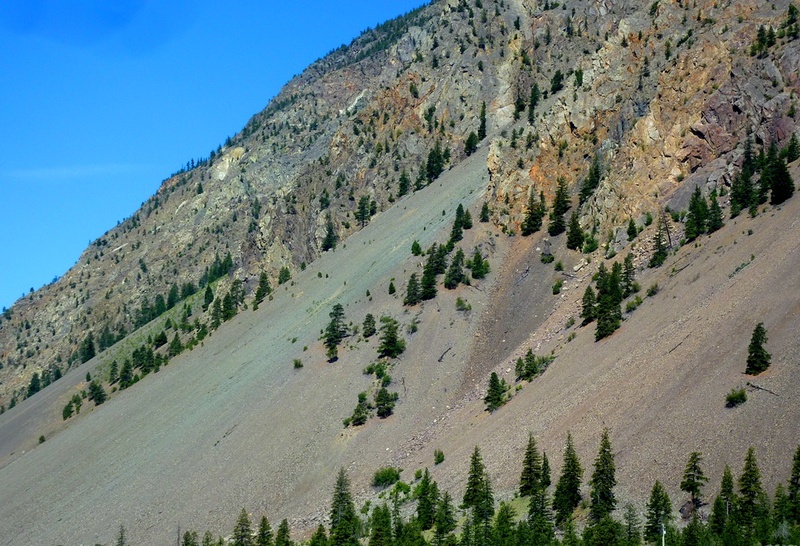 This is a form of mass wasting, which is discussed in more detail in Chapter 15. Other important agents of erosion that also have the effect of removing the products of weathering include water in streams (Chapter 13), ice in glaciers (Chapter 16), and waves on the coasts (Chapter 17). 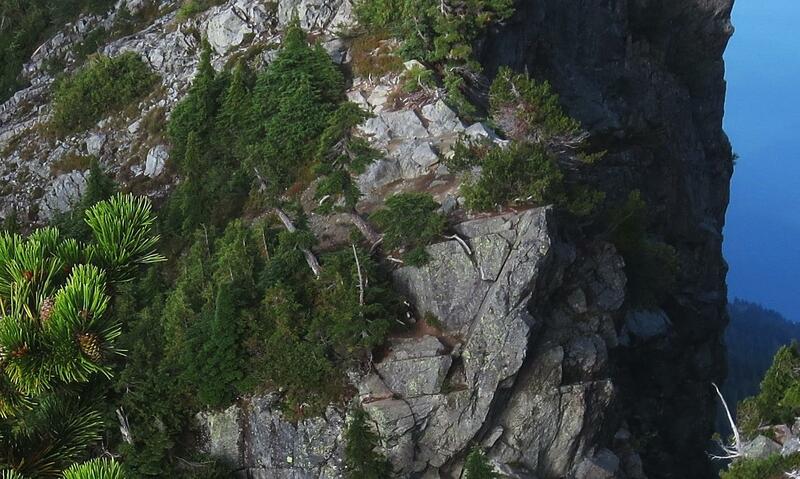 This photo shows granitic rock at the top of Stawamus Chief near Squamish, B.C. Identify the mechanical weathering processes that you can see taking place, or you think probably take place at this location. 5.1 Mechanical Weathering by Steven Earle is licensed under a Creative Commons Attribution 4.0 International License, except where otherwise noted.